If you have a temporomandibular disorder (TMD), you may have suffered from a number of painful symptoms. People with TMD may experience jaw pain, headaches, back pain, and even ear aches. These symptoms come and go, and can get better or worse depending on the season, other illnesses, stress levels, and more. Because TMD can be triggered by several things, it’s not easily treated by one therapy alone. Trying to cure TMD with pain relievers alone, for instance, is rarely successful because this only addresses one symptom. Instead, we focus on treating the patient as a whole and utilizing a number of therapies – including natural ones – that can work together to bring our patients relief. Essential oils have grown in popularity in recent years, but their powerful healing effects are not new. In fact, essential oils have been used successfully to treat a number of ailments for centuries. Their incredible properties can help with stress, digestion, skin health, relaxation, and much more. At MedCenter TMJ, we utilize these time-tested remedies for TMD pain relief, and we help our patients find the best natural remedies that are both safe and effective for their individual needs. Essential oils can – and do – work. In fact, the National Cancer Institute has found certain essential oils to be effective for relieving cancer-related nausea, and tea tree oil is an effective germ killer that may be effective against antibiotic- resistant bacteria. Essential oils are special extracts found within plants that serve several functions. It is believed that essential oils help the plant defend itself against insects and animals. Many oils have antimicrobial and antifungal properties that aid in the plant’s survival. As humans discovered centuries ago, these special compounds can be used to promote good health in humans as well. Expression – This is sometimes called cold-pressing. Citrus oils, such as lemon, are usually extracted with this process because they have thick peels that are grated and pressed to release the powerful oils. Steam Distillation – This is the most common extraction method. During this process, plants are steamed to evaporate the chemical compounds. The steam is then cooled and condensed to collect the essential oil. Supercritical CO2 Extraction – For this type of extraction, carbon dioxide is used to extract the essential oils from a plant. This method is more expensive due to the specialized equipment it requires. Chemical Solvent Extraction – Some flowers that cannot tolerate steam distillation are extracted with chemicals that are designed to pull the essential oils out. Oils that are labeled as “absolute” have usually been extracted this way. Ingesting (swallowing) them. We do not recommend ingesting essential oils. Because the oils contain powerful extracts, there is a danger of toxicity and adverse reactions if you consume them. As you’ll see below, the oils are just as effective – and much safer – if you use them in other ways. Inhaling them. Perhaps the best-known way to use essential oils is through inhalation. 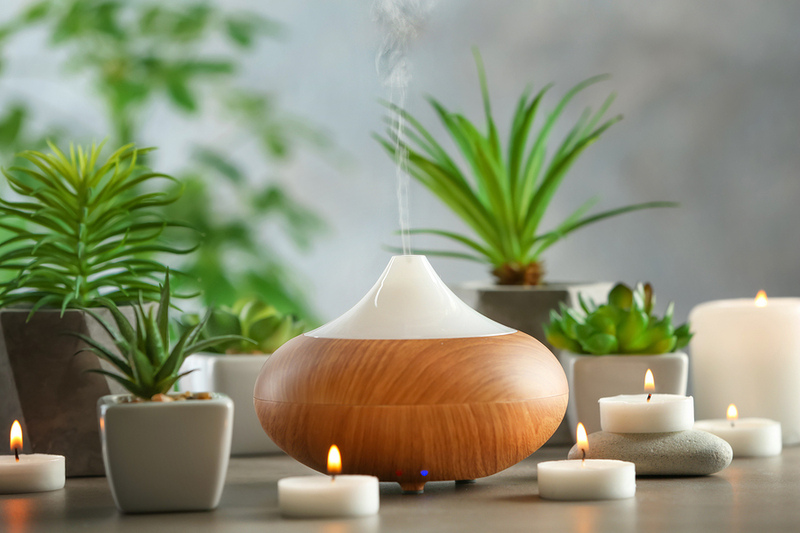 A few drops of oil in an essential oil diffuser is enough to benefit from their effects and to enjoy their pleasing fragrances. But using a diffuser does more than freshen the air. It releases some of the oil’s molecules into the room, which can have a direct effect on your mind – promoting relaxation, sleep, or helping you focus. If you don’t have a diffuser, you can also open a bottle of your oil of choice and breathe in the scent. Applying them topically. Essential oils are absorbed through the skin, so using them in this way, usually diluted with a carrier oil such as coconut, is a good way to get their healing effects safely and without the dangers of ingesting them. But, it’s important to note that some people may have allergic reactions to certain oils. Talk with your health professional about any allergies you have before using essential oils or any natural therapy. Because essential oils are so powerful, they are not meant to be used to their full strength. Oils should be diluted with carrier oils before use. Research has shown essential oils can help with a variety of TMD symptoms, including headaches and muscle pain. They may also bring relief from TMD triggers such as anxiety, lack of sleep, and stress. Oils that come in dark blue or amber glass containers – not plastic – because essential oils react with plastic over time. A bottle that says “essential oil.” It may also have the plant’s Latin name. 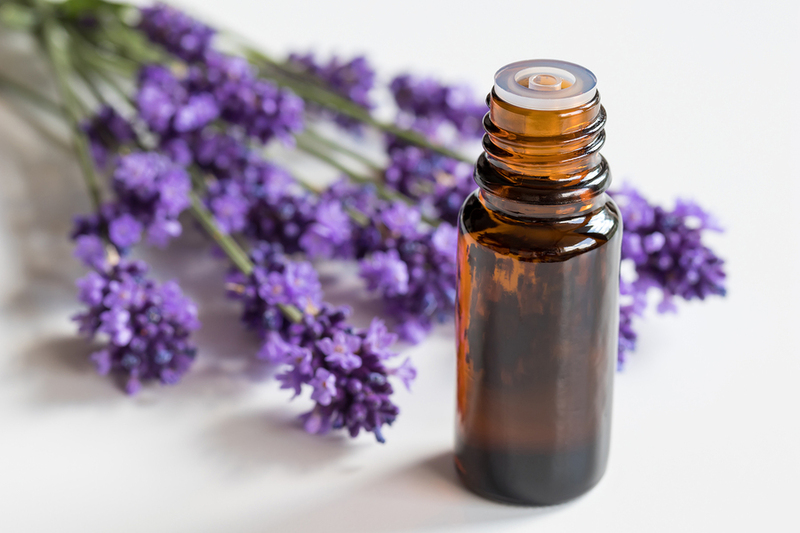 Labels such as “lavender oil,” for instance, may simply be artificial fragrances. Oils with a USDA seal, which is usually a sign of a legitimate oil, or the term “wild-crafted, “ meaning that they are harvested naturally rather than farmed. Treat essential oils like medicine. Use them with a health professional’s guidance so you know which oils to use and how to use them for maximum benefit. If you are pregnant, have any health conditions, or are using essential oils on a child, ask a doctor before use. We’ve treated countless patients with essential oils and other natural therapies at MedCenter TMJ. Drs. Petit and Auvenshine have years of experience and expertise in treating this complex condition. Schedule your visit today to learn how we can help you.